"I love that Molly was inspired by the repetition of the building this month and that is what she translated into her necklace with the herringbone-wrapped beads. 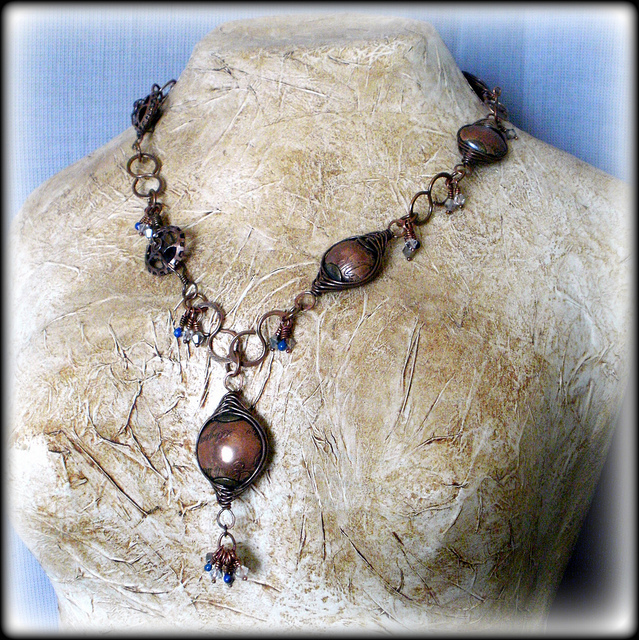 The copper is such a departure from the cool color palette and I like that she added in those silvers and blues with tiny bead clusters. She was able to make something that fit her design style but found it's inspiration in our challenge." You still have a few days to enter to participate in our blog hop and win fab prizes from this month's sponsors! Visit here for complete challenge details. We are finishing up this week with the last three 12 Days of Christmas projects and our blog tour on Friday. A gorgeous piece! I love all the different handmade elements. Thank you so much! This was such an interesting challenge this month, with so many ways to interpret the inspiration photograph. 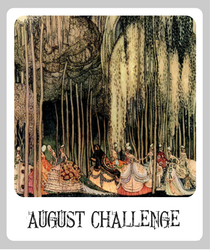 I'm looking forward to next month's challenge! Love your wire wrap. Very elegant. This is really a stunning piece. 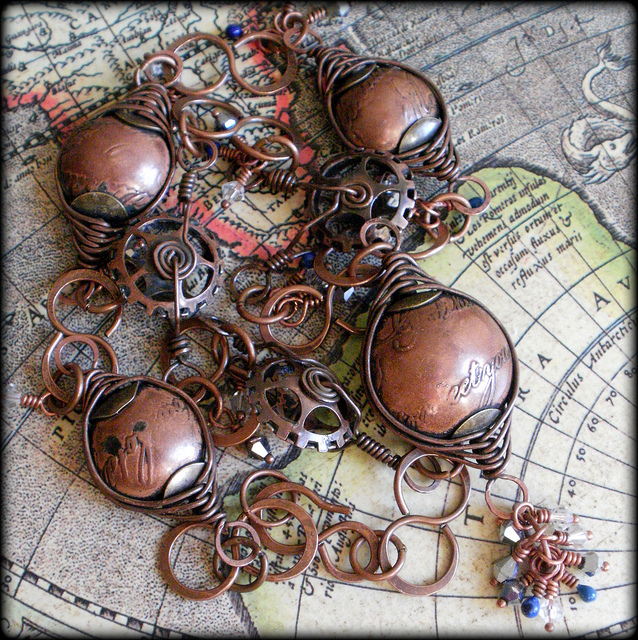 oooh i LOVE the idea of using more etched copper for the "stone" in a bezel--also of copper!! domed that way, it totally makes me think of a burnished gem. fabulous! Love Miss Molly's design - those herringbone beads are stunning! Beautiful warm colours too.